As posted earlier, I’m hosting exceptional guest writers on my blog to share some of their experiences, knowledge and perspective that are worth shedding light on. In this context, my second guest writer is Mrs. Dania Dbaibo Darwish a holder of a BBA & an MA in Psychology from AUB. She is an Associate Certified Professional Life & Career Coach, a Certified Master level NLP practitioner, a Certified Hypnotherapist, & a trained Counselor. She has a background career in Sales & Marketing of consumer goods; & as a Psychology instructor at AUB. For several years now, she runs her own practice at Coaching Your 3Ps (Personal & Professional Progress) as a Coach, Counselor, Hypnotherapist, & Trainer. 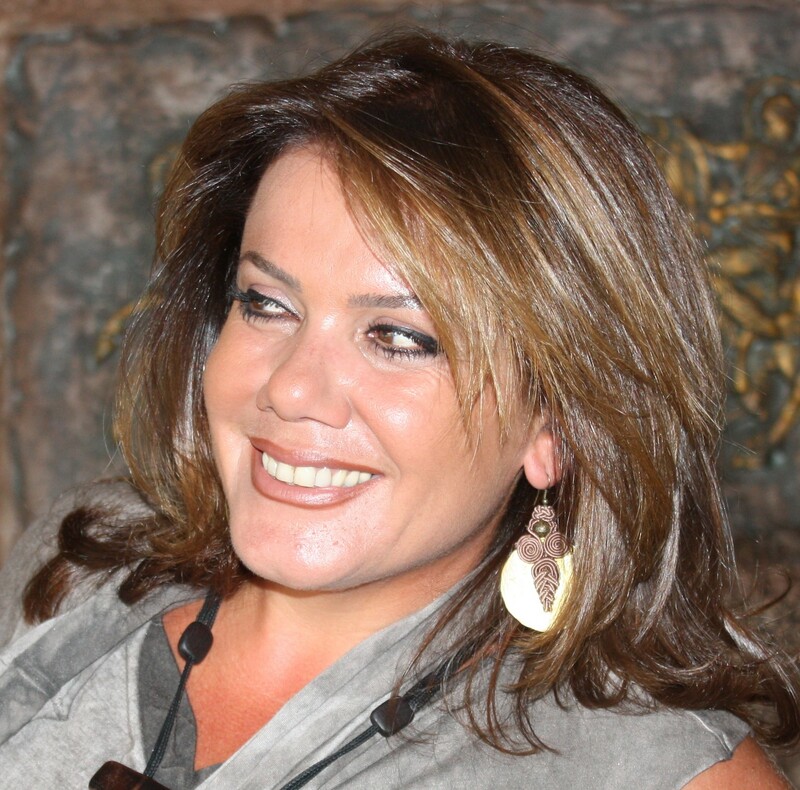 Dania is the founding president of the Lebanese Coach Association (LCA) & is very active in other NGOs. She’s known for her dynamic & positive personality. Build rapport: Subtly match and mirror the person you’re talking with (i.e. get in the rhythm of the way they’re speaking, body posture, use of language, etc….). Generally, people who are like each other tend to like each other, so do your best to synchronize your way with theirs. Listen (don’t just hear): We have two ears and one mouth mainly to listen twice as much as we speak. Instead of mentally rehearsing your next argument, actively listen to what really matters to the other person. Their needs will be your guide to satisfy instead of deviating off-topic. Words, tone, and body language: In the famous Mehrabian study, these turned out to have an effect of 8%, 37%, and 55% respectively. Never underestimate, therefore, the profound effects of the silent messages behind your unspoken words. It’s “how” you say things that gives much more meaning. Address them by name often: You’ll be reaching out for their most prominent identity and softly caressing their ego each time. It will sound like flattery. Maintain eye contact: This ensures you’re retaining connection. It gives the message that you’re interested in what they’re saying and that they’re heard. Remember how it feels when you’re talking to someone and they look away or roll their eyes? Yes…. Utterly disrespectful! Empathize: Use your interpersonal intelligence and the ability to be in the other person’s shoes to identify with their feeling, ideas, and situation. Ask yourself: what is it like to be in their position. Paraphrase what they’re saying when you can. This conveys that they’re well understood. Always ask good questions: You can always direct the flow of your conversation through asking open ended questions. This is a sure way to release your counterpart’s defensiveness and probe them to come to mutual conclusions. Avoid giving unsolicited advice till you’re asked. Get them to agree more: For beginning conversations, ask questions to get them to agree on, say, 3 things. This is part of building rapport. Questions like: the weather is too hot this morning, isn’t it? The traffic was unbearable today, right? You can, then, introduce your request or the point you want to make. Focus on giving feedback: At times, you’d want to appraise a piece of work or assess a situation. Don’t criticize by just saying what’s not right. Praise the good points as well. As a whole, your opinion will be better received. Sandwich your feedback: Whenever you have something negative to say, make sure you sandwich it between two positive statements. Start off by complimenting the other person somehow (relevant attributes, qualities, or work); give your negative opinion (in a nice way of course); and then finish up your statements by praising again. These positive statements act as a sandwich buffering any negativity sensed in between. Feed forward: When you give feedback, you may need to state the preferred scenario for a specific outcome (e.g. behavior or way). It is an assertiveness technique used in relationships (parent to child, or in partnerships) and mentoring. Don’t remain vague about future direction. Probe them by asking questions to get to the ideal response, or suggest it when they don’t know. Use the “agreement frame”: Nothing beats defensiveness than agreeing first. Use points in your counterpart’s view to agree with, first. Say things like: “I agree that…. And I respect that…. And I really appreciate that….” Then say: “at the same time, I think that…..” stating your disagreement. Never use the word “but” after agreeing. It negates everything you said before it. The pleasant “no”: Don’t get caught in saying “yes” to others’ requests at your own expense. When you offer an explanation to why you can’t handle their request, you’ll be saying “yes” to yourself. You can start off by saying: “Yes, I appreciate your resorting to me to handle this. I really would like to help you out. At the same time, I have to…..” and list the reasons why you can’t while offering an alternative way or a later time to do it. Focus on solutions: Avoid getting sucked up in discussing the problem and rather consider the alternatives to resolving it (more on “win-win” solutions). In doing that, consider the interests and benefits to both of you (you get that through empathetic listening and asking probing questions).